Before we ring in the new year, let's review the trends and stories of 2013 in labels! And get a peek at what are we expecting to see in 2014. This year's biggest story in chemical labeling was the change in the Hazard Communication Standard to align with the Globally Harmonized System of Classification and Labeling of Chemicals (GHS). This regulation affects chemical manufacturers and companies that use chemicals. OSHA believes the new labeling will create a safer workplace because the labels are easier to understand. This also will help US compete globally because many foreign countries already require this form of labeling. While the deadline for compliance isn't until 2015, many companies are already preparing to redesign their labels or research new printing solutions. To learn more about GHS labeling, read our blog post from earlier this year. We've created helpful images and charts to show the new requirement. If you have any questions, leave us a comment! 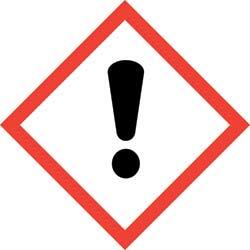 In 2014 we'll share our solutions and tips for relabeling chemical containers. This September the FDA issued its final ruling requiring medical device manufacturers to assign Unique Device Identifiers (UDI) directly to their devices and packaging. This ruling also will establish a Global UDI Database for manufacturers and healthcare providers to access. Next month we'll provide even more information on these labels and the various solutions that Weber provides. 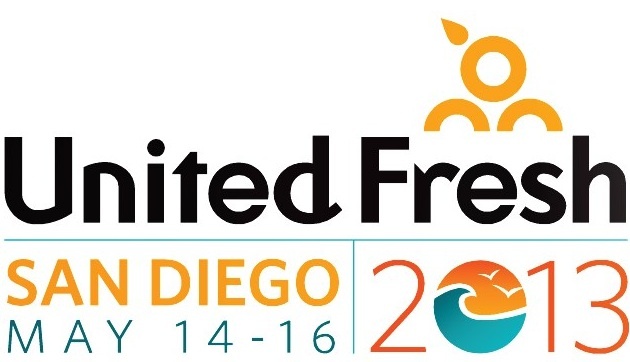 This was Weber's first time attending and exhibiting United Fresh. Our team appreciated the unique opportunity to not only share our produce packaging labels and printer solutions, but also attend Learning Center panel events to learn about the produce industry. Weber's Vertical Markets manager, Paul Johnson, attended several Learning Centers and sent me the highlights live from the show. Labels are the perfect medium for informing consumers about the nutrition and ingredients in packaged food but they can also be the best place to share your story and connect with a consumer. QR codes work well on labels because consumers can connect with your brand at the store or even later after the purchase. Scanning the code can direct the consumer to your company's website or a social media page where they can continue to connect with your brand by getting more information, coupons, special deals or other content that helps build a relationship. Include a short story or summary on your prime label about the growers or producers of the food. Including a picture of the farmer or the farm also adds a personalized touch to the product's label. In the example below, not only does the label include a picture of the farmer, but they also included a biography about their brand. This jar label will definitely sticks out at the farmer's market or the shelves of the grocery store. Seafood consumers were surprised by the recent report from Oceana about seafood labeling, which uncovered widespread mislabeling of seafood nationwide, including the fact that nearly 40 percent of the fish tested from restaurant menus were mislabeled. 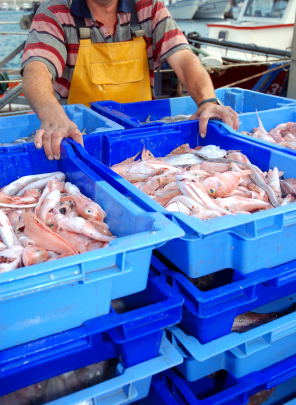 The report highlighted the weaknesses in current seafood labeling regulations and enforcement of rules. Because of this, the U.S. Congress is working on two bills, HR 1012 and S 520. However, at this time it is unclear this early on if the bills will gain traction. To learn more about this, I sat down with our Vertical Markets manager, Paul Johnson. Paul has been researching the labeling issues facing the seafood industries and how we can help them. He explained to me that ultimately the problem comes down to the lack of specificity in documentation during seafood business transactions. The more information these seafood companies can provide on their packaging or label, the better. Seafood companies are working with several companies and organizations to ensure that the information on the package is accurate. Quick Response Codes (QR Codes) are 2D barcodes that can be scanned with a smart phone app to bring a consumer to a website or some other piece of information such as a video or pdf. With more and more people using smart phones, QR Codes are a great way to connect with customers. Work the code into your artwork - Experiment with Color! You don't have to make your codes black and white! Just make sure the colors contrast enough for the app to read it. You can also insert logos to the the code. 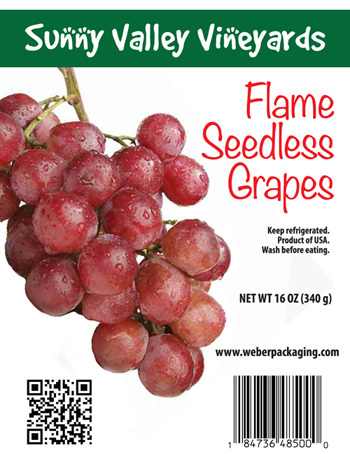 Contact our Graphics department about integrating a QR Code into your existing label design. People want to be directed to contests, tips and videos about the product. If they find it valuable to scan, they will be more likely to scan your codes in the future and interact with the brand. 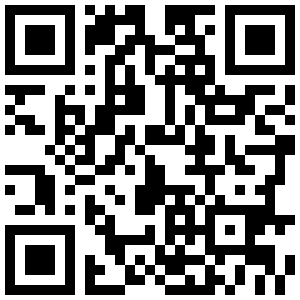 Test your QR Code with different phones to make sure it works and quickly goes to the page you want. If the contest has an end date, make sure you utilize that page afterwards. Even though they can no longer win, don't send them to an error page. Looking to design a label? Looking to select the right labeling equipment? Maybe just looking to learn the latest about labeling? Well, here’s a terrific source. 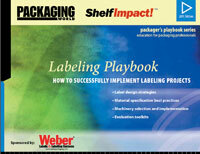 It’s the Labeling Playbook, a 70-page PDF packed with information that provides end-users with a roadmap of how to be successful with virtually any type of labeling project. The content is very objective, written by Packaging World magazine’s editorial staff in consultation with leading labeling experts and end-user companies.